Robert B. Roth, 87, of Lancaster, passed away on December 9, 2017 at the Mennonite Home. He was the loving husband of Jean M. (Bedford) Roth. Born in Germantown, PA., he was the son of the late William and Dorothy (Turner) Roth. After graduating from Springfield H.S. in Montgomery County, he proudly served in the U.S. Air Force for 4 years during the Korean Conflict. Following his service in Alaska, he returned to Washington D.C. where he taught at the Pentagon. During this time, he met Jean who was also working in Washington D.C. 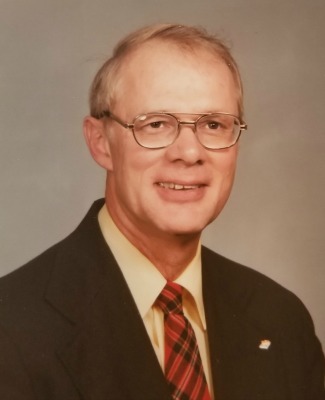 Following his service in the military, he attended Drexel University then spent much of his career with Sun Oil Company in the Research and Development department. He was a Sunday School Superintendent, taught Sunday School and was an elder in the Baptist Church. He served on the School Board of the Christian Academy in Brookhaven, PA. He was a member of the Sons of American Revolution and was an avid cyclist. In addition to his wife Jean, he is survived by two daughters; Sandra Dreibelbis (wife of John) of Radnor, PA and Jennifer Groat (wife of Curt) of Lovettsville, VA. Also surviving are 7 grandchildren and 1 great-grandchild.